Gottenheim, November 2018 – The well-known VISOR® series from sensor manufacturer SensoPart has had a makeover: with their slender metal housing, improved lighting and new added functions, such as a target laser and motorised focus, the proven vision sensors are now even more flexible and easier to use. Image-processing vision sensors have never been as powerful and user-friendly. A prime example is the VISOR® series from SensoPart, which has been completely upgraded and includes many improved details. Thanks to extensive hardware and software compatibility with the previous version, the new sensors can also be easily used in existing installations. As with the previous VISOR® models, the housing is fitted with a holder for dovetail mounting. A new feature is the integrated target laser (laser class 1), which greatly simplifies sensor alignment during set-up. Motorised focus adjustment is another new function and can be controlled via the software, eliminating the need for manual adjustment with a focus screw – particularly in cramped spaces. This avoids process interruptions when switching between jobs with different focal positions. With their IP67 all-metal housing and a wide operating temperature range of 0 to 50°C, the new vision sensors are 100% industry-compatible. Much has also happened in image processing: the resolution has been increased from 0.3 to 0.5 megapixels (V10 version) or from 1.3 to 1.5 megapixels (V20) respectively. In addition, users now have a choice of three different fields of view (wide, medium, narrow), defining the optimum frame for their application. The version with a narrow field of view enables an enhanced detection of small parts or codes at longer distances. Now equipped with eight highperformance LEDs, the integrated lighting system has also been optimised. Thanks to a faster signal processor, the new VISOR® generation additionally offers a much higher frame rate – up to twice the speed depending on the sensor version and detector. Connectivity has also been improved: the sensor now supports current interface protocols such as sFTP, SSH, EtherNet/IP and Profinet Conformance class B. Even image display in the SensoWeb webviewer is significantly smoother. Hardware compatibility with the previous VISOR® version is essential for use of the new sensors in current installations. This enables not just a one-to-one exchange but also ensures that existing accessories, such as external lighting, connection cables or mounting aids, can still be utilised. Use of C-mount lenses has been enhanced; the previously separate spacer ring for lens assembly, as well as the screw thread for the casing, are now a permanent integral part of the sensor housing, rendering the C-mount variant even more compact. The software equally offers extensive compatibility. 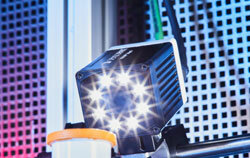 Existing job files can simply be imported, and use of the modified sensor optics with new functions (e.g. motorised focus) only requires minor adjustments in the SensoConfig software. The new VISOR® is available in the versions Object, Code Reader, Robotic and Allround from the end of 2018; all of the models, with the exception of the Code Reader, also come in a version with a color image chip. In addition, there is a choice of two image resolutions (V10 with 800 x 600 pixels, V20 with 1440 x 1080 pixels) to suit the application requirements. All versions of the previous VISOR® generation will still be continued in our sensor portfolio. The medium-sized, family-run company based in Gottenheim near Freiburg and in Wieden near Todtnau, develops, produces and sells sensors for factory automation. The main focus is on optoelectronic sensors and camera-based vision sensors, which are used for so many purposes in industrial applications - e.g. for object/colour detection or distance measurement. SensoPart is synonymous with flexibility and stands for innovative, high-performance products made in Germany. The company has received numerous distinctions for its work, for example the recent 1st place in the Automation Award and has been several times winner of the German Sensor ApplicationPrize.